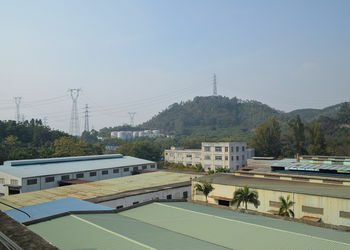 Formed in 2001, Guangzhou Xinyuan Hengye Power Transmission Device Co., Ltd. specializes in the manufacture of high voltage power transmission line accessories, as well as research and development in related areas. 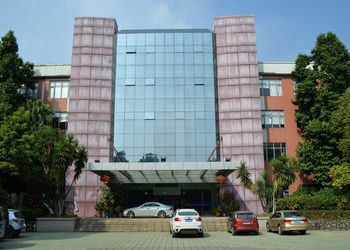 Our company is located at Zengcheng Yonghe, in the east part of Guangzhou, with excellent environment and convenient transportation. Over years of development, we have gradually established ourselves as one of the market leaders, owing to our highly competitive strength in high voltage technology, complete production facilities and work force. We take special pride in or R&D and management teams. Now we have about 326 staff members, more than 30.6% of whom are qualified engineers and technicians, in addition to 34 R&D personnel. Our extensive expertise ranges from mechanical engineering, corona, electrical design and product testing, to manufacturing process. The company focus on development and production of fittings and conductors for voltage from 110kV to 1000kV. It had supplied around 10 transmission lines for 800kV till 1000kV in domestic. For oversea market, it had supplied to Vietnam(220kV&500kV), India(400kV&765kV), Poland(110kV to 400kV), Pakistan, Bangladesh, Syria, Paraguay, etc. To ensure quality products, we have accumulated experience in designing and producing electric power fittings, electric substation fittings, and ultra-high voltage power transmission products. Our major products include 500kV heat-resistant power line fittings, energy-saving power line fittings, environmentally-friendly power line fittings, and high altitude line fittings. We also do research and development in related areas. Over years of development, we have provided line fittings for heavy snow area, 750kV ultra-high voltage AC line fittings, 800kV ultra-high voltage DC line fittings, and 1000kV ultra-high voltage AC line fittings. Our products are designated to be used in national large power transmission projects, such as The Three Gorges and west-east power transmission, and are exported to many foreign countries in the Middle East and Mid and South Asia. Apart from this, we provide nonstandard and customized products according to the specific requirements of our clients. We are an ISO9001:2000 certified company. All Manufactured products have been thoroughly tested in accordance with the national standards prior to shipment. Outstanding management patterns, advanced production techniques, and standardized testing equipment and procedures serve as the basis of our constant pursuit towards Zero Defect. 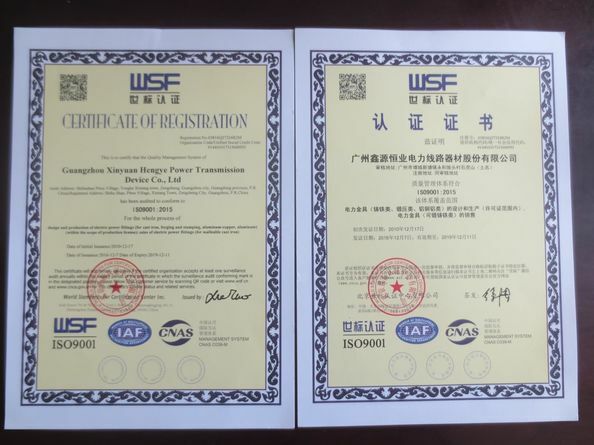 The company wholly owned subsidiary Fogang Xinyuan Hengye Cable Technology Co., Ltd. (hereinafter referred to as "Fogang Xinyuan") as the main body to carry out the research and development, production and sales of stranded carbon fiber core conductor. 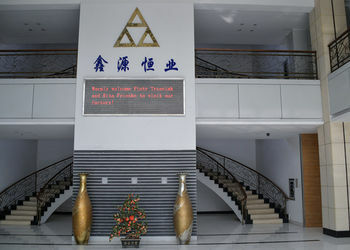 Fogang Xinyuan was established in November 2009 with a registered capital of 76,000,000 RMB, which was located in West Yingfo Road, Shijiao Town, Fogang District, Qingyuan City. Fogang Xinyuan is the solo manufacturer for ACMCC conductor (Aluminium Conductor Multi-strand Carbon Fiber core) in China. ACMCC is designed for double capacity of power transmission. ACMCC Conductors can meet the requirements of ASTM, EN, BS and IEC etc. Fogang Xinyuan also has a full set of independent intellectual property rights of the manufacturing process, production equipments and product structure for ACMCC conductor. 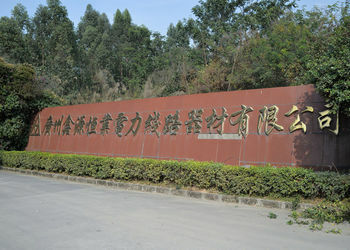 Guangzhou Xinyuan Hengye Power Transmission Device Co., Ltd. was establishes in 2001. 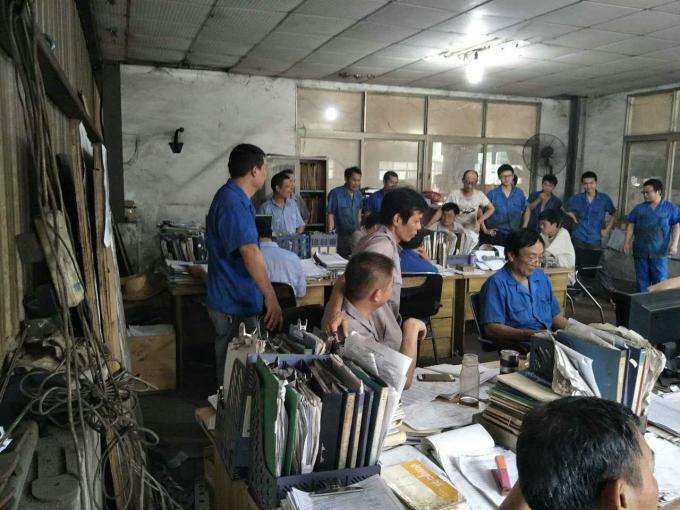 In order to extend management, complete share system to change the system in September, 2011, the business involves an electric power fitting, electric wire electric cable and import and export trade. With the company expanding in the wire cable, energy saving carbon fiber composite core wire and fittings, insulators, import and export business, Guangzhou Xinyaun Hengye has transformed into a comprehensive enterprise, and assessed as high-tech ejnterprise in 2008..
On April 3, 2012, the Chinese Power Industry authority of China Electric Power Enterprise Federation of Technical Appraisal, concluded that the aluminium conductor multi-strand carbon fiber core conductor and supporting fittings researched and developed by Fogang Xinyuan "filled the domestic gap and reached the international advanced level ". 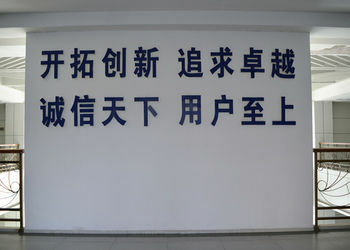 In February 2016, the application of Fogang Xinyuan’s aluminium conductor multi-strand carbon fiber core transmission conductor in Haikou power Supply Bureau Project has accessed to "First Prize of Scientific and Technological Progress" of China Southern Power Grid and obtained the third prize of 2016 China Electric Power Innovation Award. 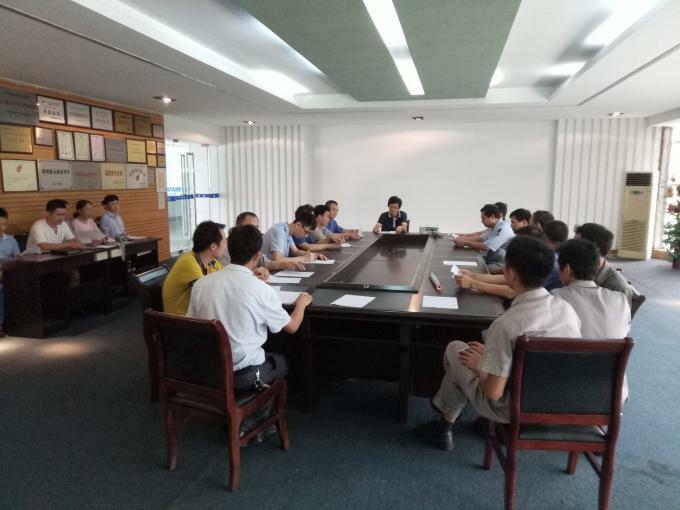 On April 29, 2016, it was appraised by China Electrical Engineering Society, the authoritative academic institution of electrical industry in our country. 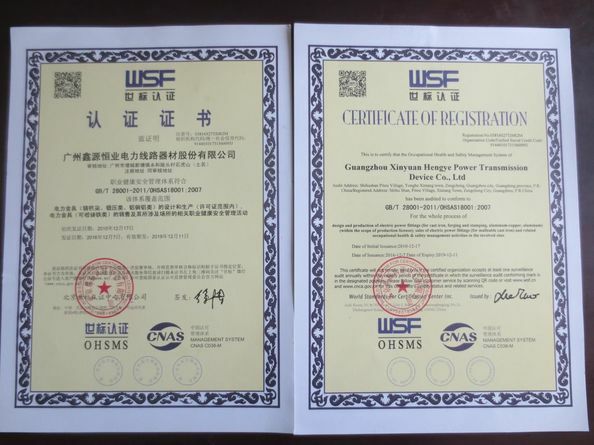 The conclusion was that the stranded carbon fiber composite overhead conductor and supporting fittings produced by Fogang Xinyuan reached the international advanced level as a whole, Carbon fiber composite core transmission conductor crimping technology has reached the international advanced level. " Guangzhou Xinyuan Hengye Power Transmission Device Co., Ltd. is a primary domestic professional manufacturer of electric power fittinfg and cable accessory. Our main products are Electric Power Hardware Fittings,Overhead Conductor,Carbon Fiber Core Overhead Conductor,Power Cable and insulator with approved quality complying with ISO9001/2000. 2. For any customers who have new idea about some products, just let us know, we can according to your idea provide a unique design of the products!!! 3. For any customers who send us the samples of some products, we will design and develop better ones based on the samples! 4. We can according to any customer's design to do sample for them. 5. We are manufacturer, factory, so we have the ability of mass production. Our products comply with IEC, GB/T, ASTM, ISO,etc., standards to perform the production, and the production machine are all equipped with advanced system, all our workers are experienced and skilled. Our working team and sales team can guarantee a fast and high efficiency after-sale service for our product sold to everywhere of the global. GZ Xinyaun Hengye has a complete supply system for the materials and parts, which can guarantee the company's demand of product accessories. China shipping, DHL Cosco group, FedEx are our good partners, which an guarantee the fast and the safe delivery to the customer's hand.